Are there any side effects from osteopathic treatment? How Can I Avoid the Problem Recurring? Do I need to see my doctor before having osteopathy? Do doctor’s refer their patients to osteopaths? Can I exercise whilst having osteopathy? Can I have osteopathy while having other treatments? Can I have osteopathy if I am pregnant? Is osteopathy suitable for babies and young children? Osteopathy has perhaps become synonymous with the treatment of spinal pain perhaps due to lower back pain becoming so common in daily life. The reality is osteopathy also helps pain and dysfunction in other parts of the body (e.g. ankles, knees, elbows, ribs etc. ), as well as helping the functioning of important areas such as the thorax, abdomen and pelvis. Osteopathy covers more than just the fixing of symptoms as it aims to try and ensure that the symptoms are much less likely to return in the future. Yes, osteopathy is very safe. As part of your initial assessment your medical history is carefully analysed for reasons to avoid certain techniques. There are however virtually no circumstances in which some form of osteopathic treatment is not possible and entirely safe. At the first consultation, the osteopath will complete a full history of your symptoms, as well as asking for information about your lifestyle and diet. The osteopath may also observe you making some simple movements to help them make a diagnosis. Osteopaths are trained to examine areas of the body using a highly developed sense of touch, known as palpation, to determine conditions and identify the body’s points of weakness or excessive strain. osteopathy is a ‘package’ of care that includes skilled mobilising and manipulative techniques, reinforced by guidance on diet and exercise. The osteopath will discuss with you the most appropriate treatment plan, estimating the likely number of sessions needed to treat your condition effectively. If the osteopath thinks your condition is unlikely to respond to osteopathic treatment, you will be advised about how to seek further care. 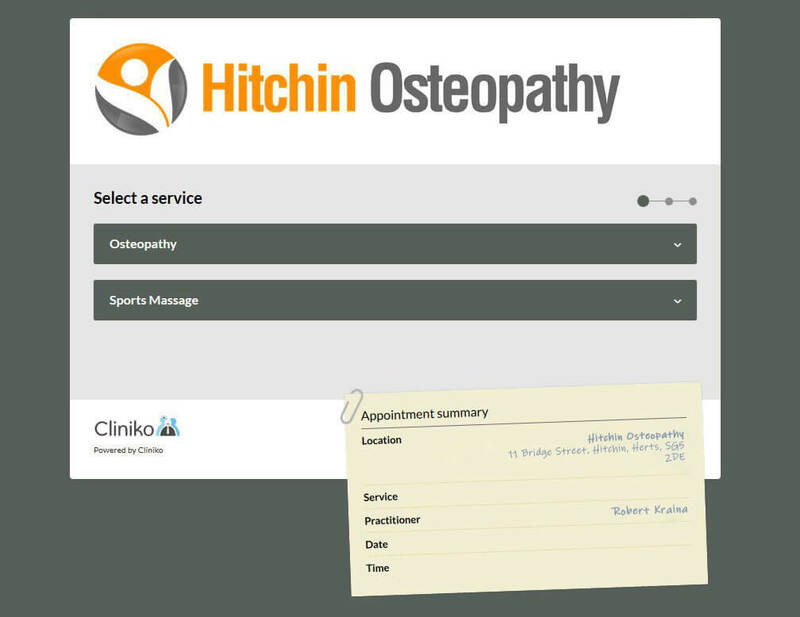 Osteopaths are skilled in diagnostic techniques and trained to identify when a patient needs to be referred to a their GP. This consists of a series of gentle, rhythmical movements of the arms, legs, and the spine, combined with gentle stretching of muscles and adjustments of the joints and ligaments. After treatment you may be advised on posture, exercise, diet or other natural means of helping you with your condition. The vast majority of techniques used in osteopathy are painless. There may be some circumstances where treatment may be slightly uncomfortable but it is very short lived. Please let us know if this happens. Treatment has a positive effect on the body systems, so it is common to experience a reaction. Following your first session of osteopathy you can expect to feel stiff and sore for up to 48 hours. This is similar to the feeling after too much unaccustomed exercise. When very long term problems are released, soreness and stiffness are also common. Following most treatments you will not be in pain, but will probably feel more tired/relaxed than normal. Drink plenty of water and go to bed early. If after a treatment you are in a degree of pain you or your osteopath didn’t expect, phone to discuss it, there is usually a very straight forward explanation. Due to the precise analysis of the spine and the extensive movements required during treatment, it might be necessary to be treated in sensible underwear. Easily removed outer clothing is best. Once the assessment is complete you will be draped in a towel. However, your comfort and dignity is most important so if you are not comfortable then feel free to wear leggings, thin shorts and tops. There is no need for embarrassment. Your health is too important for that. Every problem and patient is different and the number of treatments (as a plan), will be discussed during the first visit. The number of treatments needed depends on your condition. For instance if you have chronic low back pain for example, you may need several treatments. For acute pain, one or two treatments may be enough. Taking care of your health including posture, exercise, nutrition, position and rest will help long term. Our aim is to resolve movement problems to prevent regular reoccurrences. We may also recommend biannual or annual appointments to prevent a relapse. Most patients ‘self refer’ to an osteopath for treatment. Although referral by a GP is not necessary, patients are encouraged to keep their GP and osteopath so medical records are current and complete and you receive the best care from both healthcare practitioners. Yes. Doctor’s refer patients to osteopaths where they believe this intervention would be beneficial. Many private health insurance policies provide cover for osteopathic treatment. It may be possible to claim for a course of treatment but you should check in advance with your insurance company before starting. In order to confirm the available level of cover may also need to see your GP BEFORE commencing treatment. Following an Osteopathic treatment, it is not normally necessary for most people to refrain from work. However, it is advisable to avoid vigorous or heavy activities for the rest of that day. Under most circumstances, especially if you are having osteopathy for an acute condition, it is best to avoid all exercise until your Osteopath advises otherwise. Under all circumstances you must not exercise the day of the treatment or osteopathic adjustment. Osteopathy is compatible with several other complementary and alternative treatments, physiotherapy and massage. Ask your Osteopath about combining, as it does affect the spacing of treatment. You MUST continue to take all of the drugs your doctor has prescribed whilst having osteopathy. osteopathy is safe to have with all drugs. You should be able to come off all the painkillers and anti-inflammatory drugs quickly after having osteopathy. Yes, osteopathy is suitable for woman during pregnancy and entirely safe. Many expecting mums experience low back pain or sciatica during the course of their pregnancy. Osteopathy is often used to alleviate the discomfort of pain induced by the changing physiology that comes with pregnancy. There is currently no research to suggest manipulation or osteopathic treatment harms your baby at any point, even during the first trimester when the risk of miscarriage is at its greatest. We have helped many mums to a more comfortable last trimester and, have helped them again after baby has been born. Yes, osteopathy especially is suitable for babies and children, right from birth and is absolutely safe. Osteopathy remains suitable for someone throughout their life. Some techniques may need changing slightly but the benefits are the same at any age. Arthritis is a very common condition which osteopathy is suitable for. Although arthritis is a non-reversible degenerative condition, many of the compensatory and pain relieving postural adaptations to it are entirely reversible or at least maintainable. This frequently eliminates all the symptoms, however the underlying arthritic changes remain. Please contact the Hitchin osteopathy directly for more information.